UPDATE: Since the writing of this article it has been reported that the German state has suspended Dublin deportations of Syrian refugees, even if they have their fingerprints and asylum claims in countries like Hungary. This is a great victory for the rights of refugees in Europe. This also begs the question of why Syrians are now ‘privileged’ in this absurd system but not Afghans, Iraqis, Somalis and others fleeing brutal wars? Right extreme party Jobbik recently called on the Fidesz Party-led Hungarian govt to suspend the EU’s Dublin III Regulation. MigSzol [Migrant Solidarity network] has been demanding Hungary withdraw from ‘Dublin’ for a long time. • Yes! to a future Hungary and Europe where we are not defined by our papers and national origins. The Dublin Regulation* was agreed upon and signed in 1990 and first came into force in 1997 — long before Hungary and most other countries would join the European Union. While it’s announced purpose was to prevent refugees from requesting asylum in multiple European states, Dublin’s effect today is to prevent ‘swarms’ of migrants from reaching Europe’s “core” (western and northern countries) by attempting to keep them in the periphery (southern and eastern Europe). Earlier this summer the Hungarian government briefly implied that it had suspended Dublin, but this seemed to be a bargaining chip with German and other EU states to prevent Hungary being included in a failed proposal that would distribute refugees around the EU. This had the unintended effect that some refugees thought they would not be fingerprinted if they come to Hungary. The original idea was that the first country a refugee enters should be the country that people request asylum in. 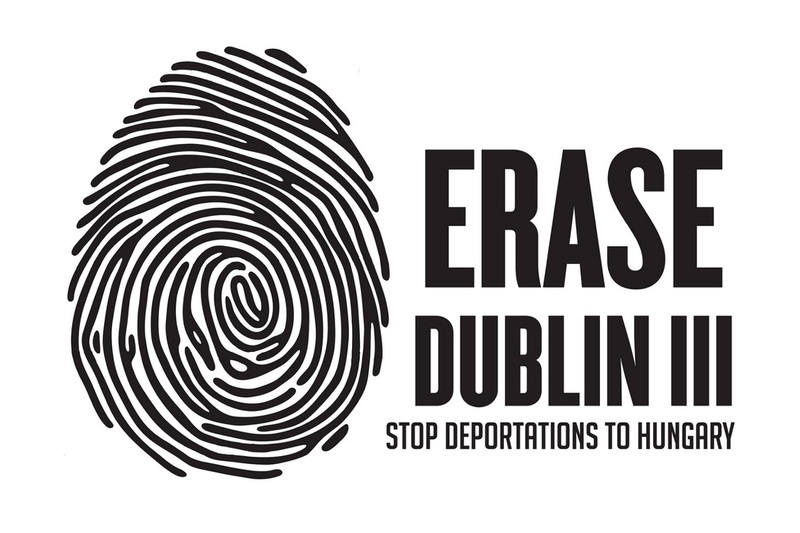 Consequently, ‘asylum shopping’ in other European states would be impossible because Dublin is supported by a vast Europe-wide database of fingerprints of asylum seekers (see: EURODAC). When these asylum seekers would be found in a country other than the first country they entered, they would be quickly deported back to the country that has their fingerprints. Like many EU solutions, it made sense on paper. In the summer of 2015 this European system has crashed as one million are predicted to arrive in Europe by land, sea and air. According to Amnesty International, most of the people who took the Balkan route and who were caught in Hungary have already moved further west. In theory, these 130,000+ people who were fingerprinted by Hungarian police so far this year will be caught again in another EU country and promptly deported back to Hungary to complete their asylum claims. Also during this time the ‘borderless’ Schengen zone, often considered to be the highest achievement of the EU, became a massive profiling zone for the ‘harmonized’ European police forces to look for suspect people whose skin was too dark or perhaps were just dressed too muslim-like while travelling. The Dublin system did not work well before, and it certainly cannot work after this summer’s crisis. In the first half of 2015 alone, only 718 people were deported – or “returned” in EuroSpeak – to Hungary from other EU countries. It is very likely that most of these ‘returnees’ quickly left Hungary and went back to whatever country they were deported from. In reality, this means that people and families are not settling down nor are they integrating into a new European life. Instead they are living precarious, underground and illegal lives in Europe — and, this is all preventable. Very few refugees and asylum seekers wish to stay in Hungary – this is thanks to an almost non-existent integration policy. Today, refugees are no longer even entitled to Hungarian language education and there are few economic and educational opportunities available to make a life here. Dublin is a cruel system that prevents desperate people and families from properly settling or integrating into european countries and it pushes them into vulnerable situations, including exploitation and poverty — Europe’s politicians from stronger and dominant countries know this, and wish to continue with this status quo. Dublin is a machine that dumps human beings ‘undesirable’ to northern and western Europe onto the outer peripheries of Europe — and offers little for those countries to help integrate refugees in countries like Hungary. What is more, Dublin tears families apart as it prevents people from joining their family members in other countries, like the Syrian 17-year old boy we met at Budapest’s Keleti train station last week, who wants to live with his uncle in Bremen, Germany. There is some money available from the Europe Union, but it never matches the need and planned future funds are already insufficient for this summer’s growing crisis. 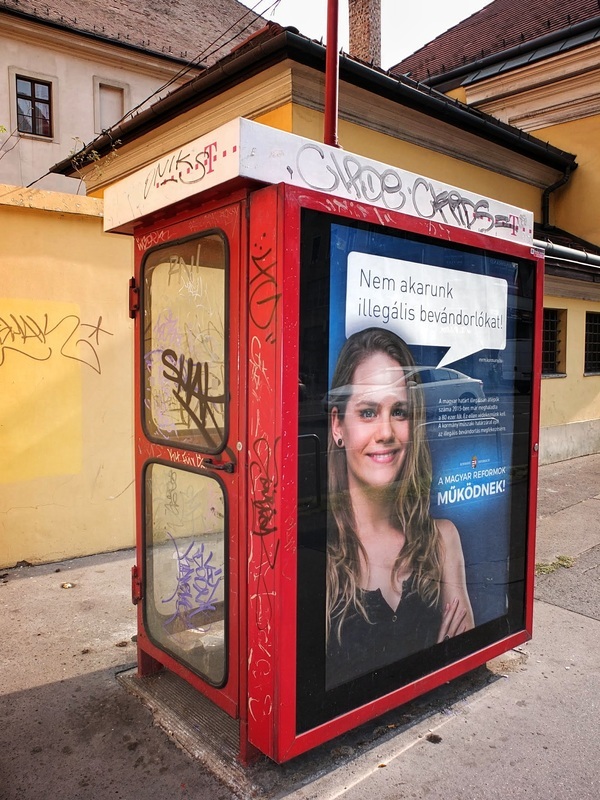 Recently Hungarian NGOs receiving some of this money through the Hungarian state had to lay off workers for a lack of adequate funding and cancel essential services for refugees. And, of course, the EU offers a lot of money for “security” and “prevention”, thus further criminalising migrants instead of helping families in need of a new life in Europe. At Migszol, we believe that this is the time to revisit the values of Europe, our values as European citizens, and not hold the EU legislation as a moral authority. Effectively, the Dublin Regulation is now creating a new generation of future Europeans who are marginalised, excluded and criminalised by the Hungarian state at the very start of their new lives in Europe. This is a planned tragedy in the making, engineered by the European Union. Hungary should not take part in this brutal deportation machine – it should neither receive deportees nor deport people to “safe countries” like Bulgaria and Serbia. Few know that because of Dublin, refugees with fingerprints in Bulgaria have already been deported from Hungary. And the conditions in Bulgarian refugee camps are much worse than in Hungary. Perhaps 90% of the asylum seekers in Hungary have passed through Greece – which is an EU country and a signatory to the Dublin Regulation. Greece is, undisputed by all, a disaster for the Greek people these days — and therefore even worse for refugees. Because of this, no EU state deports asylum seekers to Greece anymore. Shockingly, the Hungarian state now stands alone in the EU as claiming that Greece is a safe country for refugees. This opens the door to possible future deportations from Hungary to Greece. Considering that there are few real possibilities for work and education for the 130,000+ refugees that have requested asylum and left their fingerprints in Hungary so far this year, and considering that the Hungarian state is deliberate inciting fear and hatred towards them — why deport these people back to Hungary? MigSzol believes in free movement and that migration is as natural as humanity itself – and because many of the refugees are fleeing war and oppression we have a special responsibility to help. at the Austrian-Hungarian border — article (German) and more photos. We know that Hungary can lend a hand to those in need because the Hungarian people already have done so. This summer’s “migrant crisis” has resulted in an amazing burst of charity and activism which blossomed across the country to help the refugees travelling north from Serbia. These grassroots efforts only prove that Hungary does have a generous heart — in spite of Jobbik and the Fidesz Party-led Hungarian government. It may appear that Jobbik agrees with MigSzol but the reality is different — unlike them we are actually sad that this summer’s ‘flood’ of refugees will not settle and add to the life, economy and culture of Hungary. Unfortunately, in the future, many will be deported back to Hungary and this will not be by their own choice. * Ironically, the Republic of Ireland is not part of the Dublin system, even though this EU agreement was first signed there.